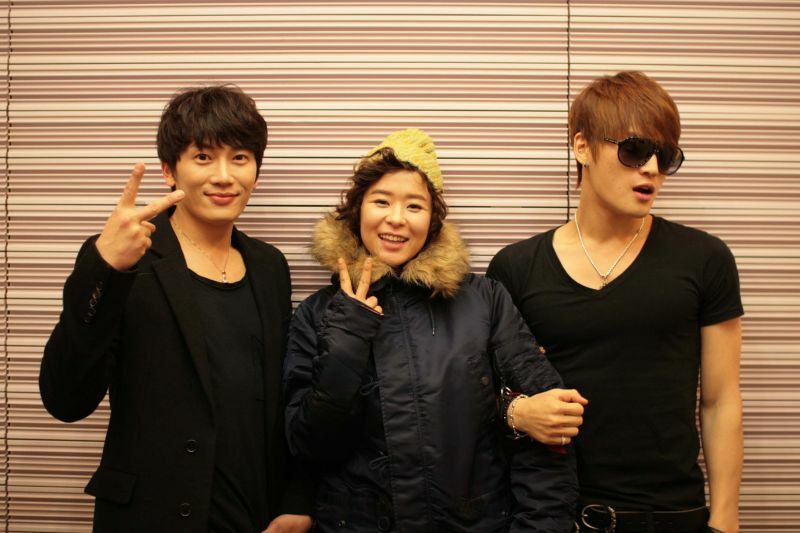 JYJ member Kim Jaejoong and actor Ji Sung were gathering in the radio program hosted by Choi Kang Hee. 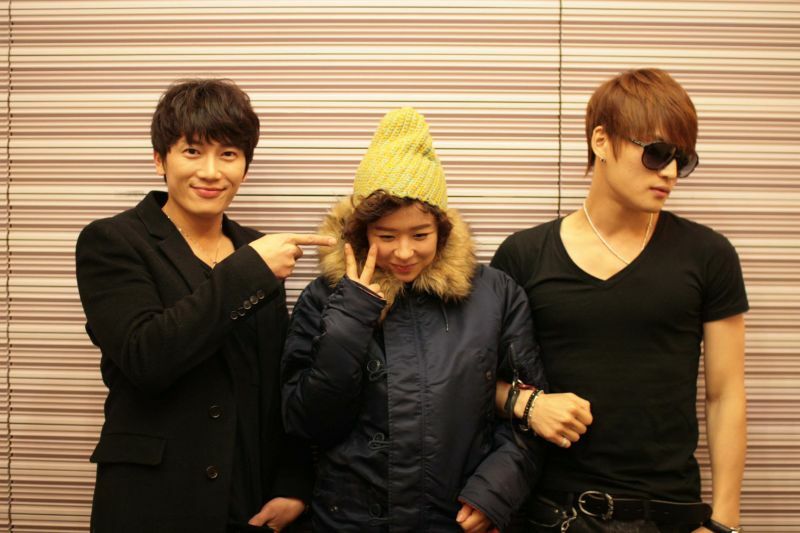 On December 24th, 2011, the official website of KBS Cool FM’s Choi Kang Hee Night Flight, 6 photos of Kim Jae Joong and Ji Sung who were the guests were published. The photos also accompanied by their description of every moves, words of “No need to PS, just show like this,” making viewers couldn’t help but laughing. And they’re like siblings, showing gentlemanliness of helping Choi Kang Hee pulling the zipper and wearing the hat, inspiring envy. 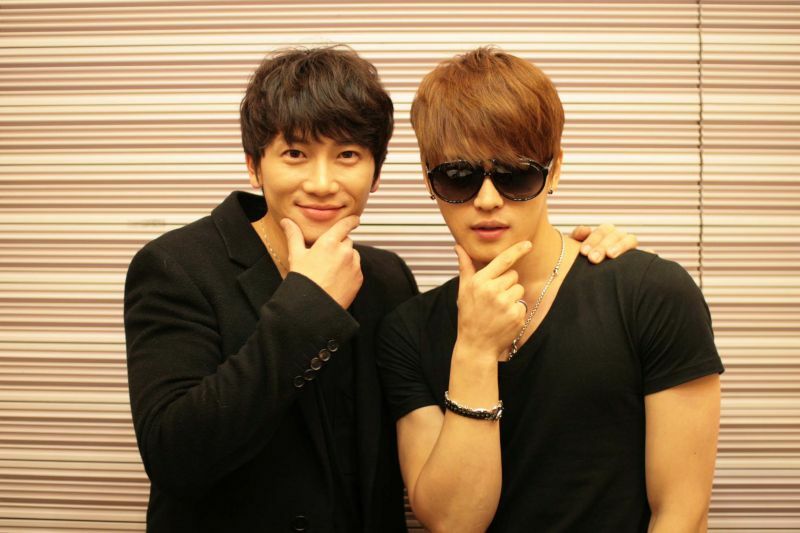 According to producer, Ji Sung and Kim Jae Joong were not promoting any movie or drama series, but purely to participate in the radio program of Choi Kang Hee whom they became familiar after co-starring in SBS TV’s Protect the Boss. After seeing the photos, netizens said, "What merit Choi Kang Hee did in the past life?" "Really have loyalty, feeling warm just by thinking watching year-end awards ceremony together," "Both seductive and eloquence," and so on. 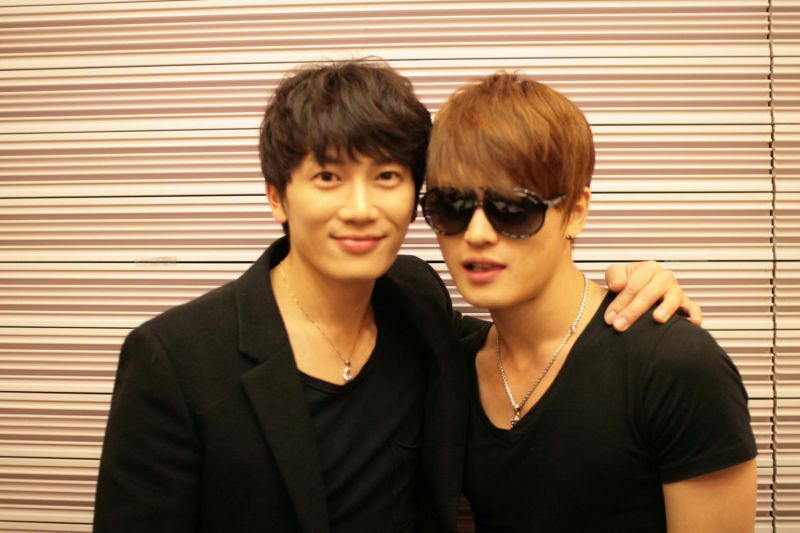 Additionally, on the day's program, Kim Jae Joong said that he wants to continue filming, attracting attention.